It’s on again the date is locked for Saturday July 14, 2012 so get registered for the Big Kahuna Kup today! 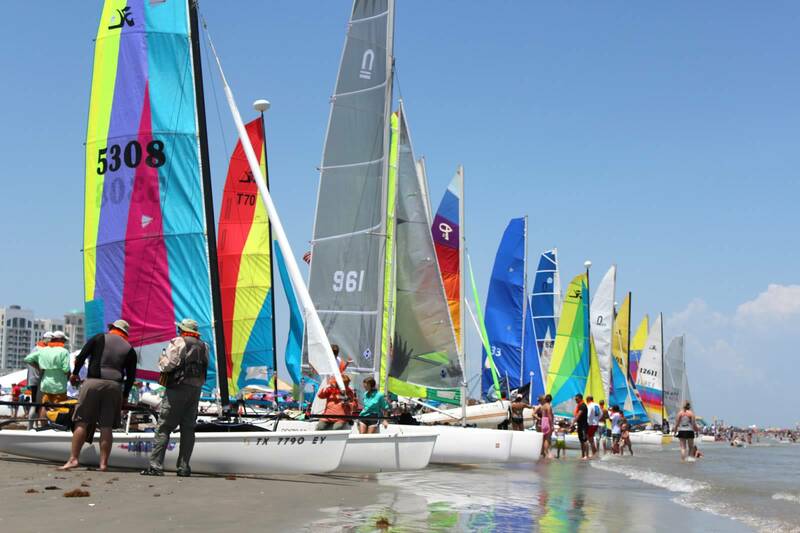 Its 15 mile race along Galveston island starts at the infamous Cat Alley and ends at Porretto Beach the best beach on the island! It’s completely free to join just send your intent to race to Art Vega via email to artvegaii@yahoo.com please include you boat make (H16, Prindle 16, F18 ect..) and sail number. This year the award ceremony and celebration will be held on Porretto beach and we will be using sailwave to speed up the scoring. Everyone had a blast last year all beach cats are welcome to join. You can download the flyer from the right hand side of www.hobiefleet33.com we had 30 boats register last year hopefully we can beat that!! ~ by Floyd on May 20, 2012. Appreciation to my father who shared with me regarding this weblog, this web site is actually amazing. It was allot more active but I had a newborn and no one else stepped to help keep it current unfortunately.